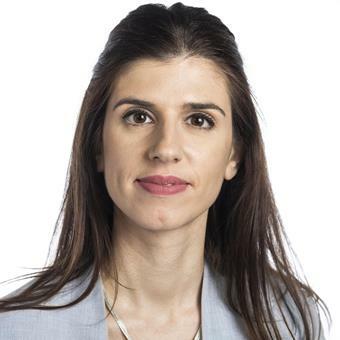 Eleni Stavrinidou received her Bachelor’s degree in Physics in 2008 from Aristotle University of Thessaloniki (Greece) and then her Master’s degree in Nanotechnology from the same university, in 2010. She then joined the group of George Malliaras at the Department of Bioelectronics of Ecole Nationale Supérieure des Mines de Saint-Étienne (France) where she completed her PhD on Microelectronics in 2014. Her work there focused on understanding and engineering ion transport in conducting polymers. Eleni then joined the Laboratory of Organic Electronics (LOE) of Linköping University as a Postdoctoral Scholar working with Magnus Berggren and Daniel Simon. During her post-doc Eleni developed organic electronic devices integrated within living plants, introducing the concept of Electronic Plants. In 2016 she received a Marie Skłodowska-Curie Fellowship. Since 2017 Eleni is the leader of the Electronic Plants (e-Plants) subgroup of LOE and on November 2017 she became an Assistant Professor in Organic Electronics. She holds a Swedish Research Council (VR) Starting Grant and she is the Coordinator of HyPhOE-FET-OPEN project. Her research interests focus on electronic interface with plants for plant control-optimization, energy applications, hybrid systems and electronic materials-plant tissue interaction.